While you may think that your home is decorated and coordinated to absolute perfection, odds are that you’ve completely neglected your closets, wardrobes, and cupboards. These spaces tend to be dark corners full of chaos and clutter. However, by using the tips provided by ethnicraft Malaysia, even these storage areas can be both functional and beautiful. Over the years, it’s easy to forget just how much stuff you have in your home. Odds are that there’s clothing you haven’t touched in years, trinkets from trips you forgot you had, and storage compartments you’re scared to venture into. All of this excess junk crowds your wardrobe and makes your home just feel overwhelmed by clutter. Much like like ripping off a bandaid, ditching all of this excess stuff is best accomplished in one swift move. Grab some large boxes and mark them as rubbish or donate. Go room by room with goals in mind of how many items you’re going to ditch in each area. Keep going until the boxes are brimming. Throw things you don want or didn’t use, Don keep it all! Closets and storerooms tend to be packed with items you intended to use, but never find a circumstance where their functionality is required. Among these items are highly specialized kitchen tools, unique wardrobe pieces, and aging craft supplies. To achieve closets you can be proud of, you must part with these objects. Remember, if you haven’t touched it in a year, there’s hardly an argument that you actually need it. Everyone has seen storage cupboards stuffed to the breaking point, closets that explode when opened, and cabinets that cannot be closed. To help create a space that looks and actually is organized, set the goal of having at least one empty shelf in each cupboard. You’ll be amazed how great your space looks and how liberated you feel by not having too much stuff. Paint the closet, Make it more Interesting and creative! Odds are, the storage compartments in your home are a little bland and boring. Spice up those areas with some paint, wall paper, or decorative shelf liner. Making your cupboards and wardrobes attractive keeps you motivated to keep them clean. Keep your closet or cupboard clean and fresh! Moving forward, your home should adopt the one-in, one-out rule to prevent clutter from creeping back in. For every new item you bring into your home, one item must leave. It will take some dedication, but this rule becomes a habit that keeps your home feeling clean and fresh. Make it look colourful and amazing, won’t get bored!! Far too many people just randomly shoved items in their closets. The end visual is just as unattractive as it sounds. 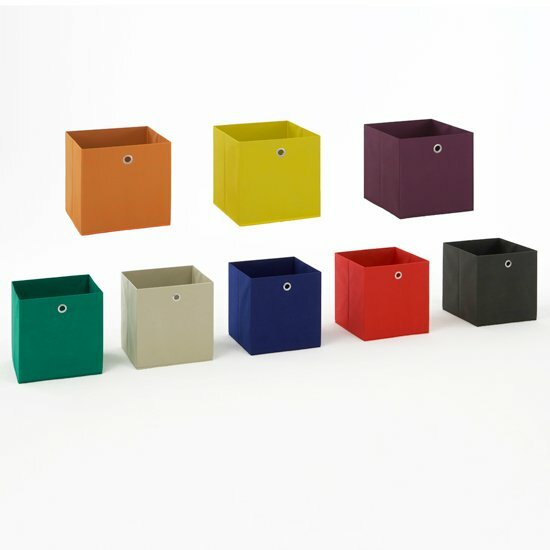 To create order from chaos, invest in some good and attractive storage bins. If you’re on a budget, then you can glue fabric over cardboard boxes. For even more pizzazz, contrast the colour of your boxes with the interior of your cupboard. 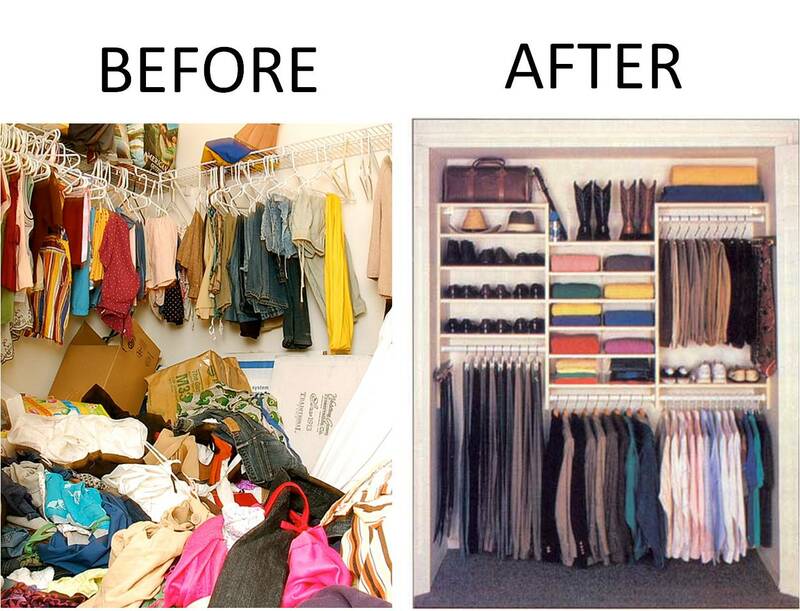 If you’re ashamed of how your home’s storage areas look, then get up and do something about it. With these simple tips, you can have closets and cupboards you’re proud of in just a day or two. Studying for the MCAT can be a nerve-wracking experience. The results of this one test will determine your future, especially whether you are admitted to medical school. While the MCAT is a difficult exam, it can be conquered with the following six steps. 1. Approach it as a challenge. Success on the MCAT depends as much on your attitude as it does on your knowledge. Remain calm and view the test as an opportunity to show what you know. Celebrate the knowledge you are gaining through study and revising, rather than thinking about what you still haven’t mastered. 2. Be methodical. At a minimum, your MCAT preparation will require three months. If you are not using a test preparation program, buy MCAT review books and a calendar. Divide up the sections of the books so they are evenly spread over your selected time period. Be sure to plan rest days and special test days for practice tests, as well as a two week block at the end for intense review and practice tests. In addition, try to split up the topics so you are studying each one every day. For example, many people spend two hours per subject each day on life sciences, physical sciences, and verbal reasoning. Do not plan to study life sciences for a month and then physical sciences the next month; you want all of the subjects to be fresh and familiar when you sit for the actual MCAT. • You can discover weak points before you begin studying. • If you receive a good score, it will give you confidence going into intensive studies. • You will experience the unique format and wording of MCAT test questions. • You can decide whether an MCAT test preparation company is worth the cost. 4. Focus on weak areas. Your practice test and your experiences in university will give you a good idea of your strengths and weaknesses. Plan to study your weakest areas for an additional block of time every day. Many former MCAT takers have found that just an hour per day spent on their worst subjects will bring their score in those areas to above average. 5. Spend the last two weeks wisely. The two weeks prior to the MCAT are perhaps the most important part of your MCAT preparation. You should take full length practice tests every few days and focus on test taking skills. Continue to study whatever weak spots you find in your test taking, but focus more on mastering the format of the MCAT and building the stamina to perform at a high level over several hours of testing. 6. Be your personal best on the day of the test. When you sit down to the MCAT, you should be well-rested, fed, and have as low of an anxiety level as possible. The MCAT is an intimidating test due to its impact on your life. However, it is possible to excel on the MCAT by diligently reviewing the information and becoming comfortable with the exam’s format. Following these steps will help you to score well on the MCAT so you can move on to training to be a physician. Tracking your employees’ attendance is a way to streamline your business while ensuring everyone on staff is working as productively as possible. When you want to track the attendance of your employees, doing so is possible by finding the right employee attendance tracking system that is most suitable for your business or place of work. What is an Employee Attendance Tracking System? An employee attendance tracking system is often a tool or program used to help keep track of the time employees spend at work or working on various projects, even if they are working from home or as a contractor for your company. Most employee attendance tracking systems and tools are available online where you can easily gain access to review attendance and to track all employees right from your own home or place of work. Using an employee attendance tracking system has a number of benefits that can help to take any business or company in the right direction towards success. Using an employee attendance tracking system is an ideal method of keeping track of those you have working for you, whether they are full time, part-time or if they are working freelance and as a contractor for your company. Checking the attendance of your employees can often be done within minutes when working on a system that is implemented into your business or that is available online. When you have the ability to consistently monitor your employees’ attendance it is much easier to assess who is most valuable for your company and who is contributing the most at all times. Having an employee attendance tracking system is also essential if you are planning to give bonuses or if you are checking for overtime at any time with those you have hired. When you have access to an employee attendance tracking system it is much easier to handle payroll while also determining who is working the most for your company and who is slacking off. Knowing the most valuable employees you have is a way to guarantee the success of your company in the future. Finding the right employee attendance tracking system can be done by first considering the type of tracking you are interested in and require for your company and method of conducting business. Before you can choose the right attendance tracking system or program for your employees it is also advisable to consider the type of employees you currently have on payroll. If the majority of your employees work from home, telecommute or are considered contractors it is important to find the right tracking system for attendance that is available online and accessible even if you are not at your place of work physically. If all of the employees you have are working within an office or at the business itself, integrating an attendance tracking system that is within the company computers only is possible. Understanding your needs for your employees prior to comparing employee attendance tracking systems can ensure you are getting the most out of the tool you select. Whether you are the manager of a business workplace or if you are the CEO of a company, understanding how to track employee attendance is the best way to guarantee you are making the most out of payroll and individuals who you have hired on staff. Taking the time to compare various employee tracking systems is a way for you to gain more insight into the type of program or tool that is most suitable for you and everyone you are managing as employees for your company. Picking up your favorite fizzy beverage may seem like a no-brainer, but how do you make the right choice when you go to buy beer? Today, craft brews, imports, regional beers and offerings from the big labels can make it hard to pick a beer. 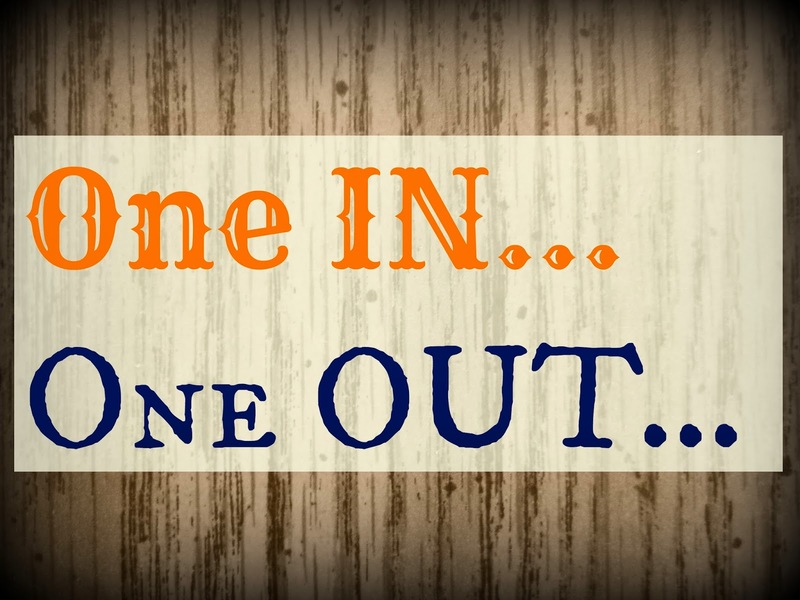 With so many options available, how do you know what’s right for you? The main idea is to have fun and try something new. After all, if beer is about anything, it’s fun. Beer tastings are a great way to find breweries whose offerings you’ve never tried. Usually, tastings are free, but some stores require payment. You’ll get your money back when you make a purchase, so it’s almost like paying a deposit. Your local grocery store or gourmet food market may offer samples on weekends, so call around or sign up for stores’ e-mails. If you can’t find a beer tasting but want to venture into uncharted territory, head to the liquor store or a well-stocked grocery store liquor department. You’ll most likely find tall bottles of craft, import and domestic beers. If you don’t like the one you chose, you won’t lose a lot of money. Even better, you can grab a few friends and pick up several bottles. Everyone can try a little of each beer and compare notes. You might want to write down the ones you like, especially if you’re doing a lot of sampling. You could even do beer flights to impress a date, assuming your date likes beer. Jot down the name of each variety, and pour a small amount into a flight glass or liqueur glass; even a shot glass will work in a pinch. You get extra points if you have a small plank of wood lying around to serve it on like those used in restaurants and bars. Whether you’re new to beer drinking or a full-on beer snob, broadening your horizons is as easy as grabbing a bottle that catches your eye. The more beers you try, and the more you pay attention to what you like about each one, the more likely you are to truly enjoy the beer drinking experience. When you look at it as an adventure for your taste buds, every time you buy beer is an opportunity to create a whole new experience. Shop for Wood Furniture Like A Pro: Tricks and Terms You Need to Know! When it comes time to decorate your home, it’s probably time to ditch the old plastic and particle board furniture for the real thing. Real wood furniture is durable, beautiful, and classic. Shopping for wood furniture for the first time can be a little overwhelming because there is so much to know. Here are some tips for shopping for wood furniture. When a piece says that it is “solid oak” or “solid walnut” it means all the exposed parts are solid wood. This is true for the term “all-wood” construction as well. Inside components that hold the exposed pieces together are made with a less expensive product. This shouldn’t necessarily deter you from buying the product, since most pieces are built this way. Hardwoods are more durable than soft woods. Softwoods are less expensive than hardwoods. Hardwood types include cherry, maple, mahogany, oak, teak and walnut. Softwoods include pine, cedar, cyprus, spruce redwood and fir. Deciding which one to buy has more to do with preference and budget than anything else. If you plan on keeping a piece for generations, hardwood might be better, but if you love a softwood piece you should feel comfortable as long as it is constructed well. A veneer is used in expensive, as well as budget pieces. A veneer is a thing slab of expensive wood placed over a structure of less-expensive wood. Your bookshelf may be made of one wood, but is covered to look like another. This practice has been used for hundreds of years and does not necessarily signify poor construction. It is just good to know what it means. Almost more important than the type of wood used is the quality of instruction. Look at the joints used. Joints need to be dove cut, mortise-and-tenon, or dowel. If the joints are just butted and mitered it won’t last as long. If you see that certain pieces are held together by glue alone, this should give you pause. Check table and chair legs that they are reinforced with a small diagonal piece of wood. Apply pressure to the joints to make sure they are durable. Test all drawers and doors to make sure nothing sticks or snags. When you are shopping for wood furniture, it is a good idea to keep these things in mind. Whether you are looking in a store in person or looking at an online furniture shop in Singapore – Let’s Go! , you can use these tips and vocabulary to help you know exactly what you are purchasing.